Dandelions (Taraxacum officinale) are so common that they are easy to take for granted; but look closer and you will see an amazing organism (perhaps even a super-organism) so well adapted to reproduce and spread, it is hard to believe that they will not be here long after we have moved on! Dandelion flower head(Taraxacum officinale): count the florets! 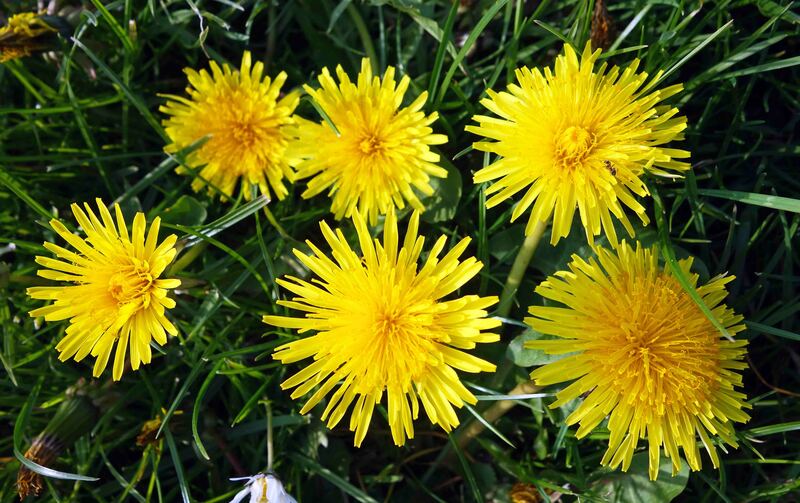 Dandelions pop up each year from roots in the ground, up to ten stems from each little root. The dandelion head is composed of a composite of tiny little florets, over 100 florets per flower head. These florets are bisexual – the dandelion is a hermaphroditic plant – but although they produce pollen, funnily enough it is not necessary for reproduction of the plant. 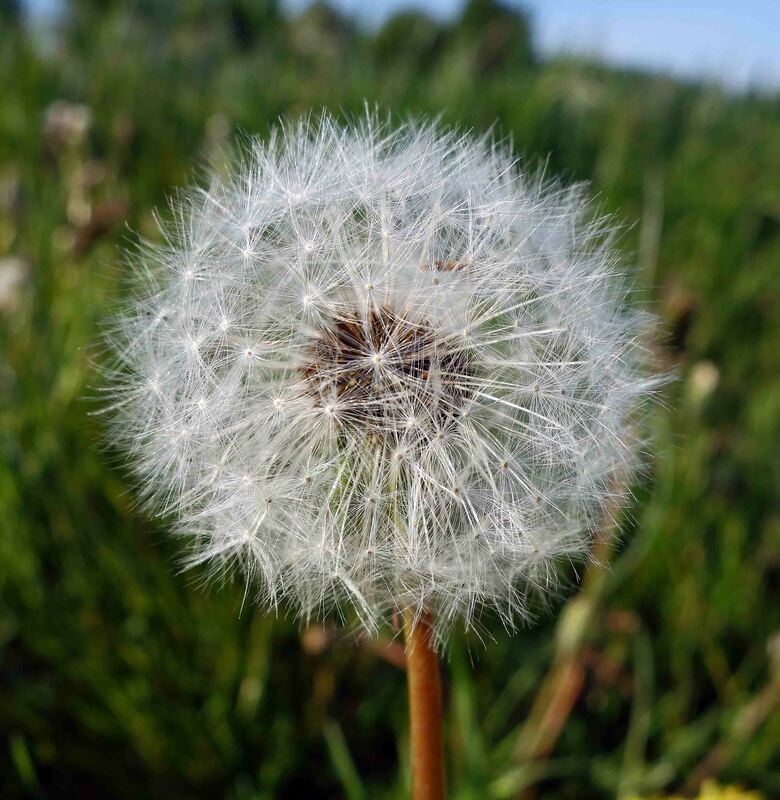 Dandelions are able to produce seeds without having to be fertilised – by a process called apoxixis (1). 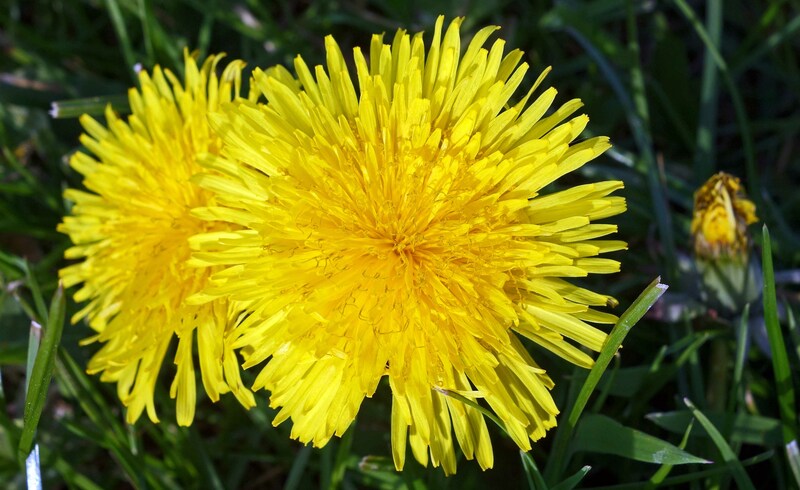 Some dandelions however, are sexual, meaning that they rely on being fertilised by pollen carried from one dandelion to another by insects such as bees. So there are both sexually reproducing and asexual – or apomictic – populations of dandelions mixed up together. Whatever way they do it though, dandelions produce masses of seeds – over 100 florets per flower head – which can add up to millions per hectare, all ready to be blown away on their little parachutes to some nice disturbed patch of ground where they can grow into a new dandelion on their own! But remember, the asexual ones will carry the same genes as their parents, so they will be identical: a clone in fact. All of these clones could be seen as the same organism, or super-organism. Other authors have compared each individual plant clone to leaves on the same tree. So, although they may be separated in space and time, all the clones constitute a giant organism that is spreading and reproducing itself all the time. Ray Cannon's nature notes Dandelions are born survivors!